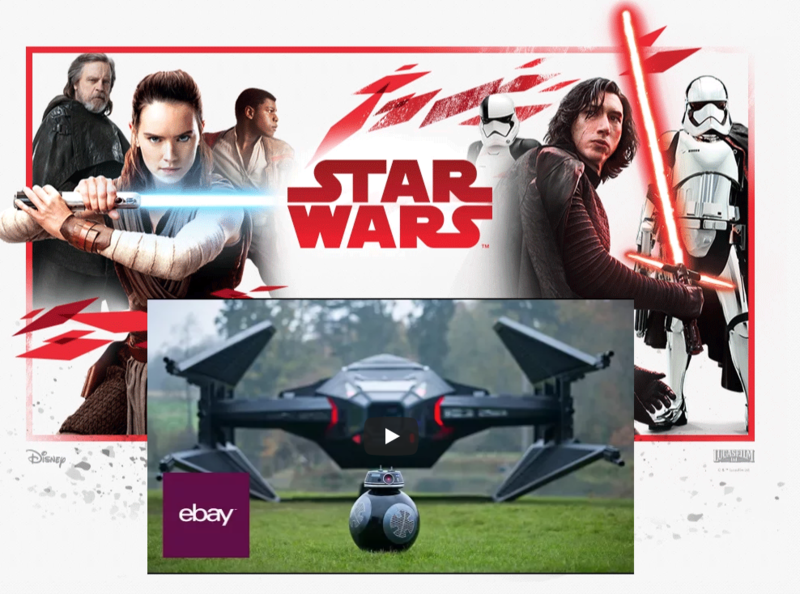 Fans and collectors across the globe will get the chance to own an official commemorative note that has been specially created to celebrate the launch of the year’s most anticipated film, Star Wars: The Last Jedi, the follow up to the UK’s biggest film of all time. The note will be available exclusively on online marketplace ebay.co.uk and has been created using the technological and design expertise of British company De La Rue, which provides currency to over two thirds of the world’s countries, including the United Kingdom. 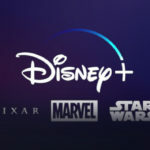 This forms part of a special initiative between Disney and the GREAT Britain Campaign to celebrate the 40 years of British creativity behind the Star Wars films. 100% of the money raised from the commemorative note will be donated to Together for Short Lives, on behalf of Star Wars: Force for Change. Together for Short Lives, a UK-based charity, supports children’s hospices and all children with life-threatening and life-limiting conditions, and their families. 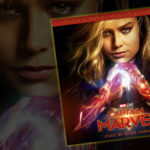 Star Wars: Force for Change, a charitable initiative from Lucasfilm and Disney, harnesses the strength of Star Wars to empower and improve the lives of children around the world. This holiday season, Disney UK has combined forces to launch a broad campaign across its range of businesses and its partners’ platforms to raise money, awareness and to create magical memories for the children under hospice care. eBay will be the exclusive home to a limited run of 1,000 commemorative notes, available at a fixed price of £100 plus a further 50 unique premium notes up for auction. The notes are crafted with 100% cotton cylinder mould paper, securitised and printed in De La Rue’s high security proofing department based in Hampshire. They incorporate an original light side/dark side artwork composition and several special features including serial numbers; pattern work of the First Order and Resistance emblems; hidden scenes (discoverable under 365nm UV light); hidden messages in microtext (discoverable with an eye glass); a message in Aurebesh, one of the languages of the galaxy; and the signature of Director/Writer Rian Johnson. The 50 unique, premium notes will also include an intaglio (a raised, hand-engraving of Rey) and each will have a unique, sequenced serial number. The commemorative notes support the Star Wars: Made GREAT in Britain initiative which celebrates the special relationship between Great Britain and the Star Wars films. Over 40 years ago the incredible story between Great Britainand Star Wars began with the production of Star Wars: A New Hope at Elstree Studios. The imagination, inspiration and innovation of the filmmakers included the original lightsaber design by British set decorator Roger Christian – who fashioned it from spare camera parts and collected junk, Academy Award®-winning costume designs from British-born John Mollo – the man who brought Darth Vader’s iconic look to life; and the key roles of the London Symphony Orchestra and Abbey Road – the birthplace of one the most iconic themes in the galaxy. The story continues this year with Star Wars: The Last Jedi which was filmed in the UK using world-class British talent in both the production team and amongst the on screen stars. 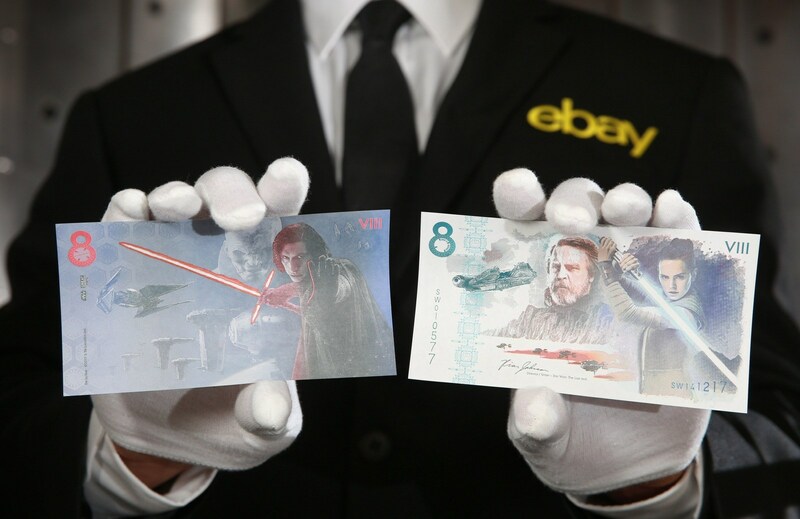 On Thursday 7th December from 8pm GMT the 1,000 commemorative notes will become available to buy at a fixed price on http://www.ebay.co.uk/starwars and the 50 premium notes will be up for auction for 10 days until Sunday 17thDecember 2017.